Diane L. Spatz, PhD, is Director of the Lactation Program at Children's Hospital of Philadelphia and an internationally-recognized expert on breastfeeding and human lactation. Diane L. Spatz, PhD, RN-BC, FAAN, is a nurse researcher and Director of the Lactation Program at CHOP. She also shares a joint appointment as the Helen M. Shearer Term Chair in Nutrition and Professor of Perinatal Nursing at the University of Pennsylvania's School of Nursing. Dr. Spatz is an internationally known expert in the field of breastfeeding and human lactation. She is chair of the American Academy of Nursing’s Expert Panel on Breastfeeding and is the Academy’s representative to the U.S. Breastfeeding Committee. Dr. Spatz also serves as faculty for the Sigma Theta Tau and Johnson & Johnson Maternal-Child Leadership Academy. At CHOP, Dr. Spatz developed the Breastfeeding Resource Nurse program. Today, more than 650 staff nurses serve as breastfeeding resource nurses throughout the Hospital and the CHOP Care Network. Dr. Spatz is currently conducting several research projects related to the use of human milk and breastfeeding. Dr. Spatz has been recognized for her leadership at CHOP and globally in the field of human milk and breastfeeding. She is the 2009 recipient of the Dean’s Award for Exemplary Professional Practice at the University of Pennsylvania. 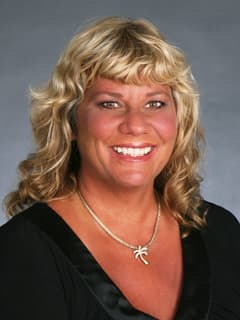 In 2011, Dr. Spatz received the Expert Alumni Award from Penn’s School of Nursing, and the Family and Community Department’s Academic Practice Award. Froh, E.B., Cascino, A., Cerreta, S.K., Karsch, E.A., Kornberg, L.F., Lilley, J.E., Welch, L. & Spatz, D.L. (2018). Status of Legislative Efforts to Promote and Protect Breastfeeding and the Provision of Human Milk for Women Returning to Work in the First Postpartum Year. Breastfeeding Medicine 2018 August 10 . [Epub ahead of print] . doi: 10.1089/bfm.2018.0092. Spatz, D.L. (2018). Beyond BFHI: The Spatz 10-step and Breastfeeding Resource Nurse Models to Improve Human Milk and Breastfeeding Outcomes. Journal of Perinatal and Neonatal Nursing. 32(2): 164-174. doi: 10.1097/JPN.0000000000000339. Hinson, T.D., Skinner, A.C., Hassmiller-Lich, K. & Spatz, D.L. (2018). Factors That Influence Breastfeeding Initiation in African American Mothers. Journal of Obstetric Gynecologic and Neonatal Nursing. 47(3): 290-300. doi: 10.1016/j.jogn.2018.02.007. Folker-Maglaya, C., Pylman, M.E., Couch, K.A., Spatz, D.L., & Marzalik, P. R. (2018). Implementing a Breastfeeding Toolkit for Nursing Education. Journal of Perinatal & Neonatal Nursing. 32(2): 153-163. doi: 10.1097/JPN.0000000000000330. Candelaria, L., Spatz, D.L., & Giordano, N. (2018). Experiences of Women Who Donated Human Milk. The Journal of Obstetric Gynecologic & Neonatal Nursing. 47 (4): 556-563. doi: 10.1016/j.jogn.2017.12.007. Froh, E.B, Deatrick, J., Curely, M.Q. & Spatz, D.L. (2017). Mothers of infants with congenital diaphragmatic hernia describe “breastfeeding” in the neonatal intensive care unit: “As long as it’s my milk, I’m happy.” Journal of Human Lactation. 33(3): 524-532. doi: 10.1177/089033441770946. Devido, J.A., Doswell W.M., Braxter B.J., Spatz D.L., Dorman J.S., Terry M.A., Charron-Prochownik, D. (2017) Experiences of Parish Nurses in Providing Diabetes Education and Preconception Counseling to Women with Diabetes. Journal of Obstetric, Gynecologic, and Neonatal Nursing. 46(2): 248-257. doi: 10.1016/j.jogn.2016.10.010. Cunniff, A, Spatz, D. (2017) Mother’s Weaning Practices when Infants Breastfeed for More than One Year. MCN American Journal for Maternal Child Nursing. 42(2):88-94. doi: 10.1097/NMC.0000000000000310. Thussanasupap, B., Lapvongwatana, P., Kalampakorn, S., & Spatz, D. L. (2016). Effects of the community-based breastfeeding promotion program for working mothers: A quasi-experimental study. Pacific Rim International Journal of Nursing Research, 2016 May-Jun, 20(3): 154-61. doi: 10.1097/NMC.0000000000000229. Hallowell, S.G., Rogowski, J.A., Spatz, D.L., Hanlon, A.L., Kenny, M. & Lake, E.T. (2016) Factors associated with infant feeding of human milk at discharge from neonatal intensive care: Cross-sectional analysis of nurse survey and infant outcomes data. International Journal of Nursing Studies; 53:190-203. doi:10.1016/j.ijnurstu.2015.09.016. Spatz DL, Froh EB, Schwarz J, Houng K, Brewster I, Myers C, Prince J, Olkkola M. Pump early, pump often: A continuous quality improvement project. The Journal of Perinatal Education, 24(3), 160–170. Torowicz DL, Seelhorst A, Froh EB, Spatz DL. Human Milk and Breastfeeding Outcomes in Infants with Congenital Heart Disease. Breastfeed Med. 2014 Nov 6. [Epub ahead of print] Read the abstract. Spatz DL, Kim GS, Froh EB. Outcomes of a Hospital-Based Employee Lactation Program. Breastfeed Med. 2014 Nov 7. [Epub ahead of print] Read the abstract. Congenital Hyperinsulinism: exclusive human milk and breastfeeding. Edwards TM, Spatz DL. Adv Neonatal Care. 2014 Aug;14(4):262-6. Read the abstract. Characteristics of the NICU Work Environment Associated With Breastfeeding Support. Hallowell SG, Spatz DL, Hanlon AL, Rogowski JA, Lake ET. Adv Neonatal Care. 2014 Aug;14(4):290-300. Read the abstract. The Birth of the GEMs Group: Implementation of Breastfeeding Peer Support in a Children’s Hospital. Kristoff KC, Wessner R, Spatz DL. Adv Neonatal Care. 2014 Aug;14(4):274-80. Read the abstract. Implementation of a human milk management center. Spatz DL, Schmidt KJ, Kinzler S. Adv Neonatal Care. 2014 Aug;14(4):253-61. Read the abstract. Duran, M., & Spatz, D.L. (In Press). A case study: Mother with glandular hypoplasia and a late preterm infant. Journal of Human Lactation. Spatz, D.L., Raphael, L., & Froh, E. (In Press). Breastfeeding the infant with congenital diaphragmatic hernia post extracorporeal membrane oxygenation. Neonatal Network. Boyd, A., & Spatz, D.L. (In Press). Breastfeeding and Human Lactation: Education and Curricular Issues for Pediatric Nurse Practitioners. Journal of Pediatric Health Care. Spatz, D.L. (In Press). Innovations in the provision of lactation support for infants requiring intensive care. The Journal of Obstetric, Gynecologic, and Neonatal Nursing. Hallowell, S.G., & Spatz, D.L. (In Press). The relationship of brain development and breastfeeding in the late preterm infant. <The Journal of Pediatric Nursing. Spatz, D.L. (2011). The surgeon general’s call to breastfeeding action-policy and practice implications for nurses. Nursing Outlook, 59(3), 174-176. Carwell, M.L., & Spatz, D.L. (2011). Eating disorders and breastfeeding. The American Journal of Maternal Child Nursing, 36(2), 112-117. Prime, D.K., Geddes, D.G., Spatz, D.L., Trengove, N.J., & Hartmann P.E. (2010). ISRHML Abstracts: The effect of breast shield size and anatomy on milk removal in women. Journal of Human Lactation, 26, 419-445. Edwards, T.E., & Spatz, D.L. (2010). An innovative model for achieving breastfeeding success in infants with complex surgical anomalies. The Journal of Perinatal and Neonatal Nursing, 24(3), 254-255. Pugh, L.C., Serwint, J.R, Frick, K.D., Nanda, J. P., Sharps, P. W., Spatz, D.L., & Milligan, R.A. (2010). A randomized controlled community-based trial to improve breastfeeding rates among urban low-income mothers. Academic Pediatrics, 10(1), 14-20. Spatz, D. L. (2010). Roles and responsibilities of health professions: Focus on nursing. Breastfeeding Medicine, 5(5), 243-244. Spatz, D.L. (2010). The critical role of nurses in lactation support. Editorial. The Journal of Obstetric, Gynecologic and Neonatal Nursing, 58(11), 458-461. Prime, D.K, Geddes, D.T., Spatz, D.L., Robert, M., Trengrove, N.J., & Hartmann, P.E. (2009). Using milk flow rate to investigate milk ejections in the left and right breasts during simultaneous breast expression in women. International Breastfeeding Journal, 4(10). Averbach, T., & Spatz, D.L. (2009). Breastfeeding mothers and violence: What nurses need to know. The American Journal of Maternal Child Nursing, 34(5), 284-289. Convery, K., & Spatz, D.L. (2009). Sexuality and breastfeeding: What do you know? The American Journal of Maternal Child Nursing, 34(4), 218-223. Wittig, S.L., & Spatz, D.L. (2008). Induced lactation: Gaining a better understanding. The American Journal of Maternal Child Nursing, 33(2), 76-81. Spatz, D.L. (2018). Helping Mothers Reach Their Personal Breastfeeding Goals. Nursing Clinics of North America. https://doi.org/10.1016/j.cnur.2018.01.011 published by Elsevier, Inc.
Devido, J.A., Doswell W.M., Braxter B.J., Spatz D.L., Dorman J.S., Terry M.A., Charron-Prochownik, D. (2017) Experiences of Parish Nurses in Providing Diabetes Education and Preconception Counseling to Women with Diabetes. Journal of Obstetric, Gynecologic, and Neonatal Nursing 2017 Jan 16. [Epub ahead of print] doi: 10.1016/j.jogn.2016.10.010. Spatz, D. L. & Froh E. B. (2014). Lactivism and breastfeeding advocacy in the United States. Policy & Politics in Nursing and Health Care (7th Ed.). St. Louis: Elsevier Saunders. Spatz, D.L. (2012). Activism and breastfeeding advocacy in the United States. Policy & Politics in Nursing and Health Care (6th Ed.) (pp. 700-705). St. Louis: Elsevier Saunders. Barnsteiner, J.H., Kurlowicz, L.H., Lipman, T.H., Spatz, D.L., & Stringer, M. (2004). Establishing an evidence-based academic practice: The role of the clinician educator faculty. In L.K. Evans & N.M. Lang (Eds. ), Academic nursing practice: Helping to shape the future of health care (pp. 205-219). New York: Springer. Cooley, M.E., Spatz, D.L., & Yasko, J. (1996). Role implementation in cancer nursing. In R. McCorkle., M. Grant, M. Frank-Stromborg & S. Baird (Eds. ), Cancer nursing: A comprehensive textbook (2nd ed.) (pp. 25-37). Philadelphia: WB Saunders. Spatz, D.L. (1994). Contributor to: NSNA NCLEX-RN Review (2nd ed.) A.M. Stein & J.C. Miller (Eds. ), New York: Delmar. Spatz, D.L., & Lessen, R. (2011). The Risks of Not Breastfeeding-Position Statement. The International Lactation Consultant Association. Spatz, D. L., & Edwards, T.M. (2009). National Association of Neonatal Nurses Position Statement: The Use of Human Milk and Breastfeeding in the Neonatal Intensive Care Unit (#3046). Glenview, IL: National Association of Neonatal Nurses. Pugh, L.C., & Spatz, D.L. (2007). Breastfeeding the Healthy Newborn (2nd Edition). March of Dimes.